Reduced administrative costs was a primary benefit driving the 2014 deadline to implement electronic health record (EHR) systems. But many healthcare providers are still trying to overcome the challenge of optimizing their EHR systems without increasing costs. In a recent study of a large academic healthcare system with a certified EHR system, researchers found decreased expenses were not the reality. “As a general percentage of revenue, the amount expended on billing and administrative costs is just as high as it was before EHRs were adopted,” study co-author Barak Richman of the Duke University School of Law and the Duke-Margolis Center for Health Policy told Health Data Management. When your staff has trouble navigating an electronic record system that isn’t optimized, you’re wasting time and money. The result Richman and his team found? 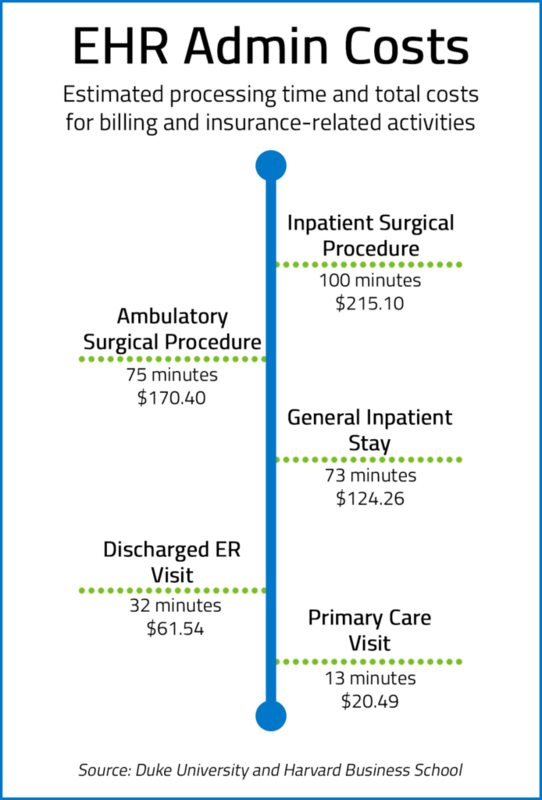 Nearly $100,000 of billing and insurance-related expenses annually for primary care physicians. Healthcare providers across the country spend a lot of time and money on support costs. That’s where HCTec’s Managed Services can step in and provide cost-efficient application support services and expertise. The company’s Atlanta and Nashville-based teams take care of the support needs, which gives your internal IT team bandwidth to optimize and streamline. That leads to greater adoption and usage, and lower costs. When St. Luke’s Health System (SLHS) in Kansas City, Mo., partnered with HCTec, they wanted to develop a strategy that would optimize their EMR system without adding staff or increasing costs. Not only has it led to an increase in overall productivity and employee satisfaction, it also has saved SLHS an estimated $20 million. Optimizing your EMR system doesn’t have to be stressful. Learn more about the results SLHS has seen in our award-winning case study and discover what HCTec can do for you.